Chester G. Sprinkle was born on 27 May 1918 at Washington. Chester G. Sprinkle married Dorothy Land in 1938. Chester G. Sprinkle died on 28 July 2002 at age 84. Chester G. Sprinkle obtained US Social Security Card at Washington; last residence Seattle, King, Washington. Married Name 1938 As of 1938,her married name was Sprinkle. Dorothy Land was born circa 1918. She married Chester G. Sprinkle, son of Lewis George Sprinkle and Velma D. Kitto, in 1938. Norman Roy Sprinkle was born on 24 December 1919 at Washington. Norman Roy Sprinkle died on 18 September 1984 at San Bernardino, California, at age 64. Married Name before 1915 As of before 1915,her married name was Kitto. Violet M. Sprinkle was born circa 1898 at Idaho. She was the daughter of William Sprinkle and Viola N. (?). Violet M. Sprinkle married Leroy R. Kitto, son of James Henry Kitto and Lena Schramm, before 1915. Violet M. Sprinkle died on 18 December 1976 at Tacoma, Washington. Keith E. Kitto was born on 30 August 1917 at Tacoma, Washington. He was the son of Leroy R. Kitto and Violet M. Sprinkle. Keith E. Kitto died on 29 January 1985 at Tacoma, Washington, at age 67. Keith E. Kitto obtained US Social Security Card at Washington; last residence Tacoma, Pierce, Washington. On 15 January 1940 at U.S. World War II Army Enlistment, Pierce, Tacoma, Washington, Name: Keith E Kitto Birth Year: 1942 Nativity State or Country: California State: Washington County or City: Pierce Enlistment Date: 15 Jan 1940 Term of Enlistment: Enlistment for the Panama Canal Department Component: Regular Army Reserve (Enlisted Men Only) Education: 4 years of high school Civil Occupation: Student, Civil Engineering Height: 00 Weight: 020. Russell R. Kitto was born on 18 February 1916 at Idaho. Russell R. Kitto died on 7 April 1990 at Tacoma, Washington, at age 74. Jack Kitto was born on 23 March 1920. Jack Kitto died on 3 November 1974 at Tacoma, Washington, at age 54. Jack Kitto obtained US Social Security Card at Washington; last residence Tacoma, Pierce, Washington. Don Lee Kitto was born on 15 February 1927. Don Lee Kitto died on 13 August 2008 at age 81. Don Lee Kitto obtained US Social Security Card at Washington; last residence Tacoma, Pierce, Washington. William Sprinkle married Viola N. (?). 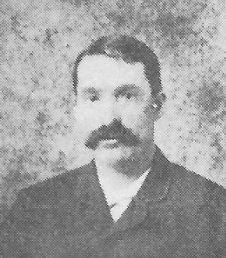 William Sprinkle was born circa 1862 at Tennessee. Married Name Her married name was Sprinkle. Viola N. (?) married William Sprinkle. Viola N. (?) was born circa 1871 at Missouri. Name Variation Carrie M. Raloff was also known as Kary. Married Name 12 December 1914 As of 12 December 1914,her married name was Rohde. Carrie M. Raloff was born on 27 April 1891 at Illinois. She was the daughter of Henry Raloff and Emma Kriegsmann. Carrie M. Raloff married William A. Rohde on 12 December 1914. Carrie M. Raloff died on 9 April 1931 at due to complications from tooth infection at age 39 Carrie (Raloff) Rohde obituary. Name Variation (?) Brasil was also known as (?) Brazil. Name Variation Margaret Brasil was also known as Peggy. Married Name Her married name was Boran. Name Variation Margaret Brasil was also known as Brazil. Margaret Brasil was born circa 1788. She was the daughter of (?) Brasil. John A. Boran was the son of Margaret Brasil. William Bishell was born on 21 August 1815 at England. He was the son of Richard Bishell and Hannah Thorpe. William Bishell married Sarah Dawson on 13 January 1835 at England. Married Name 13 January 1835 As of 13 January 1835,her married name was Bishell. Sarah Dawson married William Bishell, son of Richard Bishell and Hannah Thorpe, on 13 January 1835 at England. Richard Bishell married Hannah Thorpe on 18 December 1809 at England. Married Name 18 December 1809 As of 18 December 1809,her married name was Bishell. Hannah Thorpe married Richard Bishell on 18 December 1809 at England. John Bishell was born in 1819. Name Variation Van Rensselaer Brainard was also known as Van Rensaeller. Name Variation Van Rensselaer Brainard was also known as VanRensler. Name Variation Van Rensselaer Brainard was also known as V.
Name Variation Van Rensselaer Brainard was also known as Brainerd. Name Variation Van Rensselaer Brainard was also known as Van Ransaler. Van Rensselaer Brainard was born in 1817 at New York. He was the son of Chauncey Brainard and Clarissa Gillett. Van Rensselaer Brainard married Ellen Maria Reynolds, daughter of John Reynolds and Abigail Faton, on 15 January 1839 at New York. Van Rensselaer Brainard married Lestina B. Davis, daughter of William H. Davis and Betsy P. Brown, on 11 March 1871. Van Rensselaer Brainard died on 26 January 1885. After March 1871 returned to Virginia. [S249] U.S. Federal Census 1850 U.S. Federal Census, by Ancestry.com, Dwelling 13. [S247] U.S. Federal Census 1870 U.S. Federal Census, by Ancestry.com, Dwelling 202. Married Name 15 January 1839 As of 15 January 1839,her married name was Brainerd. Married Name 15 January 1839 As of 15 January 1839,her married name was Brainard. Ellen Maria Reynolds was born on 28 September 1821 at New York. She was the daughter of John Reynolds and Abigail Faton. Ellen Maria Reynolds married Van Rensselaer Brainard, son of Chauncey Brainard and Clarissa Gillett, on 15 January 1839 at New York. Ellen Maria Reynolds died on 10 October 1869 at age 48. 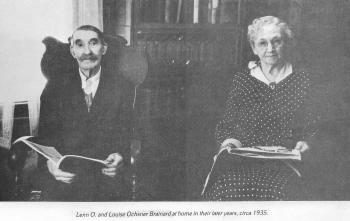 Name Variation Lenn Ober Brainard was also known as Brainerd. Name Variation Lenn Ober Brainard was also known as L. O. Name Variation Lenn Ober Brainard was also known as Len. Lenn Ober Brainard was born on 30 October 1851 at New York also reported as 30 Oct 1850. He was the son of Van Rensselaer Brainard and Ellen Maria Reynolds. Lenn Ober Brainard married M. Louise Ochsner, daughter of Joseph Ochsner and Mary Ann Rothmund, on 26 December 1883. Lenn Ober Brainard died on 2 May 1946 at age 94. 1880 Ithaca, Richland, Wisconsin Lenn Ober Brainard was listed as the head of a family on the 1880 Census at Ithaca, Richland, Wisconsin. Circa 1935 Lenn and Louise Ochsner Brainard. Name Variation Ellen Elizabeth Virginia Brainard was also known as Brainerd. Ellen Elizabeth Virginia Brainard was born on 15 July 1854 at Virginia or New York. She was the daughter of Van Rensselaer Brainard and Ellen Maria Reynolds. Name Variation Abigail Clarissa Brainard was also known as Brainerd. Name Variation Abigail Clarissa Brainard was also known as Abby. Married Name 2 January 1878 As of 2 January 1878,her married name was Carswell. Abigail Clarissa Brainard was born on 17 April 1856 at Virginia or New York. Abigail Clarissa Brainard married John A. Carswell, son of George J. Carswell and Louise R. Matteson, on 2 January 1878. Abigail Clarissa Brainard died in 1946. Name Variation Ada Katharine Brainard was also known as Ada Kate. Name Variation Ada Katharine Brainard was also known as Brainerd. Married Name 7 February 1883 As of 7 February 1883,her married name was Smith. Ada Katharine Brainard was born on 28 December 1859 at Virginia or New York. Ada Katharine Brainard married Charles Nelson Smith, son of Isaac O. Smith and Jane E. Lawrence, on 7 February 1883. Ada Katharine Brainard died on 9 November 1954 at age 94. 1880 Ithaca, Richland, Wisconsin Ada Katharine Brainard was listed as a sister in Lenn Ober Brainard's household on the 1880 Census at Ithaca, Richland, Wisconsin. Name Variation Charles Clark Brainard was also known as Charlie Clark. Name Variation Charles Clark Brainard was also known as Brainerd. Charles Clark Brainard was born on 23 March 1862 at New York. Charles Clark Brainard married Florence M. Shontz, daughter of John Alexander Shontz and Rebecca McFadden, on 5 March 1891. Charles Clark Brainard died in 1948. [S246] U.S. Federal Census 1880 U.S. Federal Census, by Ancestry.com, ED236. Dwelling 217. Name Variation Benjamin Franklin Brainard was also known as Frank. Name Variation Benjamin Franklin Brainard was also known as Brainerd. Benjamin Franklin Brainard was born on 22 February 1864 at New York. Name Variation Chauncey Brainard was also known as Brainerd. Chauncey Brainard married Clarissa Gillett. Chauncey Brainard was born circa 1788 at Connecticut. He died after August 1850. Name Variation John Chauncey Brainard was also known as Brainerd. 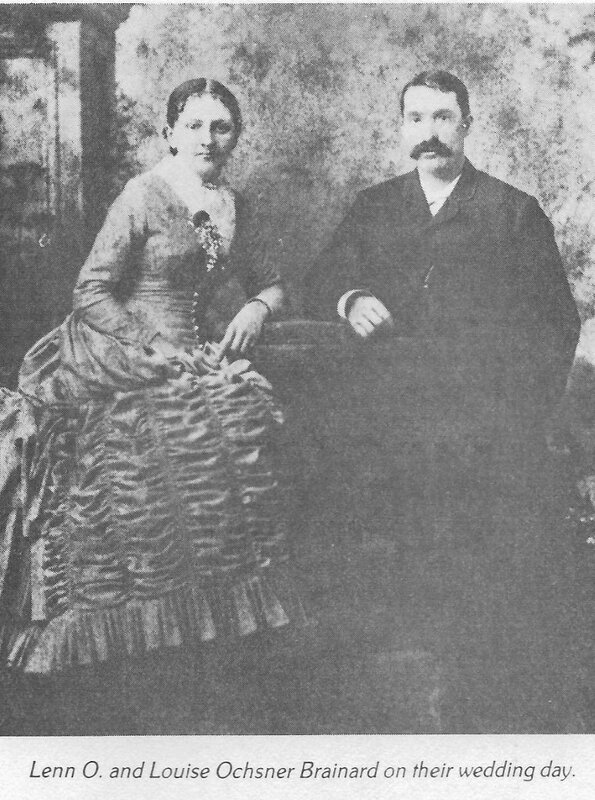 John Chauncey Brainard married Hannah Etta Purchase. John Chauncey Brainard was born on 19 June 1846 at New York. Sophronia Brainard was born circa 1806 at New York. She was the daughter of Chauncey Brainard and Clarissa Gillett.